You can add your bikes to your Trailforks ridelog. 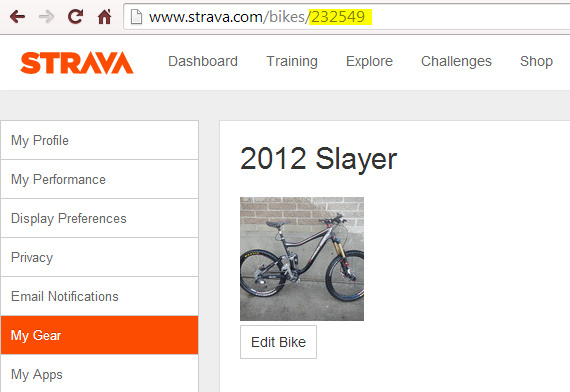 If you are importing ridelogs from Strava you can include the ID number of the Strava "Gear" and we will auto match the bike when you import a ride from Strava. The gear ID# is in the URL of this page, copy and paste this into the Trailforks "Add Bike" form.